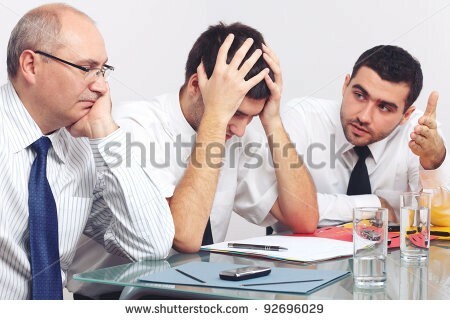 The irony is that I had a really hard time finding any stock photos of just men in a business meeting — even marketers know the ideal is a balanced board room. I just published an article outlining a number of resources for anyone looking to pursue female angel and early-stage investors for their tech startup. Here’s a bit of background into my research for that article. I grew up in a culture dominated by strong female leaders, in whatever industry I looked to — I worship Hillary Clinton, who inspired me to pursue foreign policy and to strive to speak at my university’s commencement ceremony, just as she addressed her class; my business idol is Sheryl Sandberg and her book, Lean In, is a constant source of comfort and advice; my favorite comedians include Amy Schumer, Tina Fey, and Amy Poehler. Everywhere I looked, I saw badass women who were killing it in their fields and encouraging other women to do so as well. However, when I started to research potential investors/advisors to reach out to for advice and funding for my startup, search result after search result returned back men. This, of course, is not a bad thing in itself — gender equity does not mean only women, after all — except that I couldn’t actually find any women. What was going on? Did AngelList just not have women? Did women not invest in our space (application infrastructure, enterprise IT, SaaS, cloudybuzzwords)? I asked a few women who had started or worked for successful tech companies in Silicon Valley, and they didn’t know of any female investors, either. I knew there must be female angels out there. It must just require a deeper search, I thought, determined. In my reading, I came across a number of interesting statistics, a few of which I’ll share here. Today, roughly 20% of angel investors are women. This is up 400% from just over a decade ago, though these statistics are not specific to the tech sector. Unsurprisingly, the trend of the percentage of angel-backed companies led by women seems to follow the trend of the percentage of female angels. There are numerous organizations and female investor networks that focus on investing in other women, which is awesome — it is well-documented how female entrepreneurs have a harder time securing invested capital than their male counterparts (for example, only 3% of venture-backed companies are led by female CEOs). However, diversity is not achieved by men only gravitating to men and women only gravitating to women. And, many of these organizations were not at the stage I needed — early seed, the stage at which most angel investors come in — or had specific pitch contest requirements or socially- and environmentally-conscious organizational needs. I didn’t want to jump through weird hoops, I just wanted to fund my private tech company! In talking to others, I found that many male and female entrepreneurs want to include women as investors and advisors, but simply have a hard time finding these angels, VCs, and advisors. It’s the same problem that seems to plague recruiting female tech talent in general — a scarcity problem. I think a deeper side of this problem, though, is also that people are people. Maybe they didn’t drink their coffee that morning, or they have to pick up their kid from preschool in a few hours — for whatever reason, they don’t have a lot of patience or time to engage in the deliberate recruiting required to find the underrepresented members of the tech world. Instead, they go for the easy option, which is to pursue the first 10 resumes or search results that pop up on LinkedIn that fit the set of recruitment criteria. And, it turns out, these individuals — usually white males — fit that criteria really well. And then that recruiter’s manager is happy because the engineers are happy with the new recruits and the recruiter may even get a bonus, and the cycle of behavior of not spending that much time on deliberate recruitment is socially and financially reinforced. Now apply this scenario to even busier founders who, among all their other responsibilities, are struggling to get funding so they can pay those recruiters to hire more engineers for their rapidly growing startup. Even if they self-identify as feminists and really think diversity is important, they will often do what is easiest and fastest to get (smart) investment for their startups. And if that means pulling from networks of male investors who are friends of friends and/or who turn up on AngelList’s first 4 pages of search for their industries, most people will do that. Moreover, lack of public reputation (think: Fred Wilson, Peter Thiel, Brad Feld) for many female investors makes it more difficult for founders to evaluate from afar an investor before making the costly decision to approach that investor. All of these thoughts went through my head as I researched female investors who may be a good fit for my and other tech startups. The good news is that there are a number of wonderful female investors and advisors in the tech world. I just published my findings in an aggregated list of angel and early-stage investors, collectively built with the knowledge of the Internet, top investors, industry leaders and close friends. I hope it’s helpful to the many founders who are also seeking gender-balanced investor and advisory boards. Mackenzie is the CEO of Redspread, a command line workflow to deploy Docker to Kubernetes in one command. She’s figuring out most of this as she goes along, so come along for the journey by recommending this article to others and/or writing a response.